Two years ago we wrote about Freddy appearing as the final DLC character of the year for the newest Mortal Kombat game. Of course, Friday the 13th and Jason Voorhees fans were more than a little upset that Jason was not the final character. There had been some confusion since this announcement as Jason was thought to be ready to go for the game. Now we have more info on the reasoning for Jason being excluded. The company did indeed create a Jason character for the Mortal Kombat game, but they ran into some problems. More like kids created problems for them. It seems as though test results of the characters among a certain age group and demographic caused Warner Brothers to contemplate cancelling the idea of Freddy and Jason altogether. However, in an effort to at least try the character in the public and see if they could recoup money spent on development, Freddy was unleashed. It's interesting and shocking to hear that testing was so low on the two horror icons that it was enough to cause Warner Bros. to think about cancelling both completely. 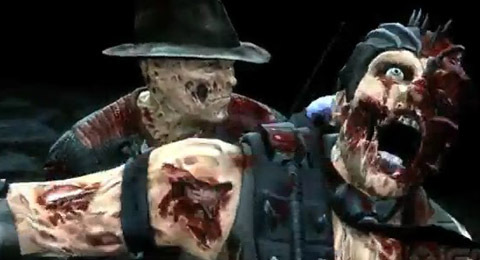 We're not sure if Freddy ended up doing well for the Mortal Kombat game, but perhaps we may see Jason Voorhees in Mortal Kombat in the foreseeable future, or gasp, his very own game!